Many of us relate our personalities and preferences according to our Zodiac signs. Yet if you are born on the edge – on the cusp, sometimes our sign is one of transition rather than completely belonging to one or the other. 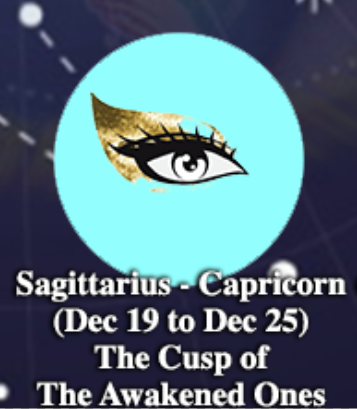 If you are born on 21st of December are you Sagittarius or are you Capricorn? You feel both energies in you, yet you can’t shake the feeling that you don’t belong in either one of them. There is a reason for that. You feel that traits of both these signs exist within you, but you also have a strong feeling that you are not both. 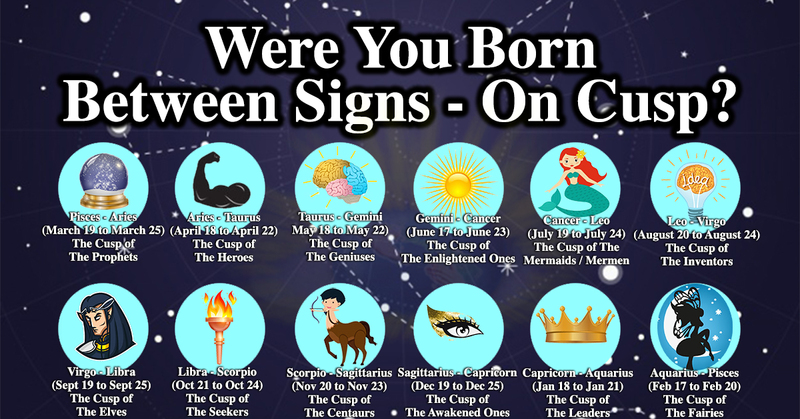 If you were born on the cusp, then your energy is a mix, and it makes sense to read about both signs. In the ancient deep blue waters of Pisces, a spark of creation from Aries flickers like a hint of light. The vast depth of the waters of Pisces signifies intuition and infinite abilities to manifest their own reality. Aries spark of creation is the new hope and life that comes from the season of Spring. 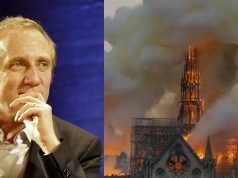 It is a renewed world. A time of change. Being born on the Cusp of the Prophets says you have a strong intuition, an ability foresee and to create the future, and that dreams are made real because of the spark of hope that stays steadfast amidst the infinite deep waters of intuition. Stay grounded in your heart, and the beauty imagine will be brought out into the world. Famous people born on the Cusp of the Prophets: Glenn Close, Johann Sebastian Bach. Aries and Taurus. Fire and Earth. A combination of both reminds one of a strong and active volcano; a mountain of creation. Such is the personality of a person born on this cusp. They are in control and in charge of everything in their life. They are headstrong and brave and use of their heart as their compass in everything that they do. They belong to the Cusp of the Heroes, making great leaders if and when they take the time to genuinely listen to other people. 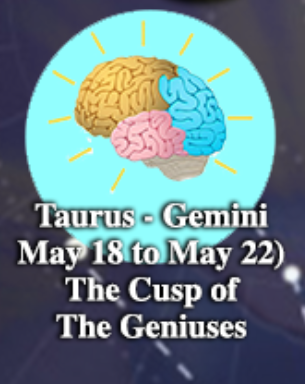 Rational Taurus and bright Gemini are amazing when combined. This is the Cusp of the Geniuses. 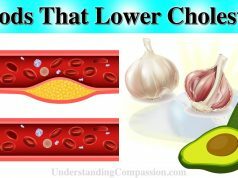 Both signs are intellectual and quick thinkers and have a unique balance of energy. The simple Taurus of the earth, enhanced by the confidence and energy of Gemini, an air sign. The airy and carefree Gemini needs the down-to-earth personality of Taurus to keep them grounded in reality occasionally. These geniuses will do well in the scientific community, but they should not set aside their hearts for the sake of rational thinking. When they follow what they love in their lives and careers, these solid intellectuals can help educate others on compassionate matters that are truly important in life. 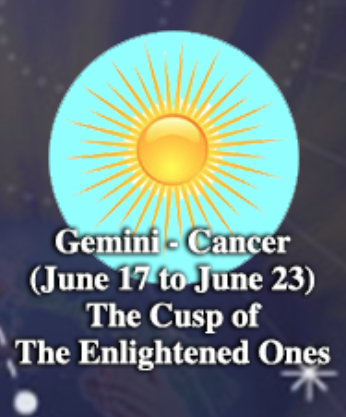 The cusp between Gemini and Cancer belong to the Summer Solstice. The Summer Solstice radiates a powerful energy which influences and intensifies the energy of the cusp. With Gemini’s knowledge merging and penetrating the radiant waters of Cancer, the Sun during this time is at its most generous. People born on the Cusp of the Enlightened Ones open their minds and hearts to knowledge and the arts. They are born artists who have an enlightened perspective of the world’s canvass. Inner wisdom comes naturally to them, and they often times “know” things long before they happen. They can put themselves on the pedestal of fame if they keep their feet on the ground and remain humble, stable, and kind. How does Water mix with Fire? What happens when sensitive and emotional Cancer meets the fiery and bright Leo? It is a mystery. Magic. Enchantment. Charm. Allure. Just like the charms and allure attributed to the deep-sea population of the mythical and fascinating Mer-folk, individuals born in the Cusp of the Mermaids/Mermen have this engaging personality and aura that attracts anyone and anything they happen upon. 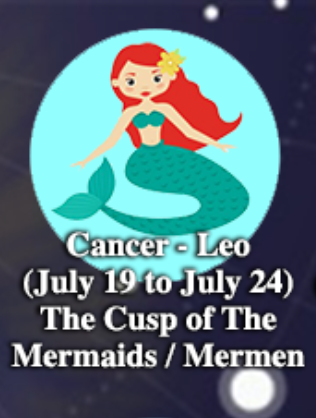 Because of the influence and energy of Cancer, these charmers are also very sensitive, and can self-bind themselves by always trying to avoid making mistakes. It’s important to remember that failures are simply lessons to be learned, and to be used as stepping stones to success. Don’t be afraid to shine, to express, to be, and you can light up the world with your inner beauty. Let that light within you shine brighter than ever before. 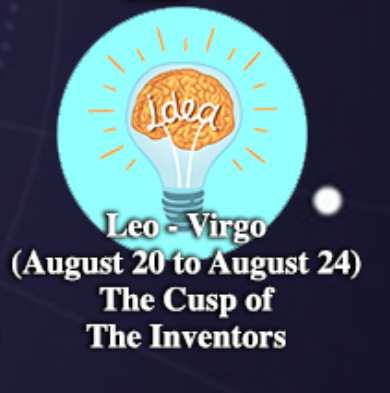 The Sun’s influence on bright Leo combined with the strong-willed Virgo results in an intense energy which brings forth the birth of inventors. From this Cusp of the Inventors is a deep well of ideas in all fields of our known world. As inventors, individuals born on this cusp have more than just common sense which makes them capable and great leaders. However, this extraordinary ability makes them vulnerable to jealousy from others, as their quick-thinking and wittiness to come up with answers when they face dilemmas or problems outshines the attempts of others. 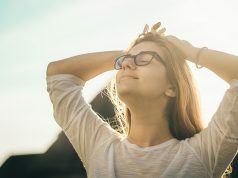 As gifted individuals, they must be wary of how they think especially when it comes to passing judgment among other and people who may not function as quickly and accurately as them. They also need to stay away from criticizing and being too hard on themselves, so remember to stay rooted in your own self-compassion. It is not what you expect, but they say, when two energies striving for perfection combine, an elf is born. Elves are magical beings who possess intelligence and supernatural beauty. 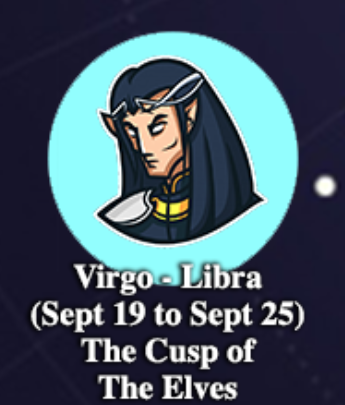 The Cusp of the Elves is an extraordinary cusp because of the shift to the Autumn season – a time of “absolute balance”. Elves symbolize this cusp because they embody magic and beauty. Individuals on this cusp will be granted their heart’s desires when they find balance in their feelings and emotions through self-love and self-compassion. The influence of both signs and the nature of the elves makes a perfectionist who pampers themselves and their loved ones with beauty and harmony. The balance of the Libra and the passion of the Scorpio. Libra is naturally curious and observant while Scorpio has the fervor and drive to find out and reveal the truth. Combine both signs and what you get is an incredible Seeker with the ability to find. 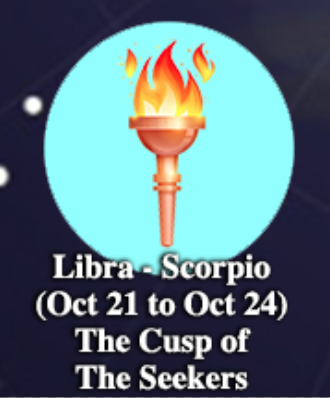 Individuals born on the Cusp of the Seekers and influenced by both Libra and Scorpio energies have the passion and the determination to search for the truth and the answers to the questions they ask themselves. This is their purpose. This is their goal. To seek the truth. 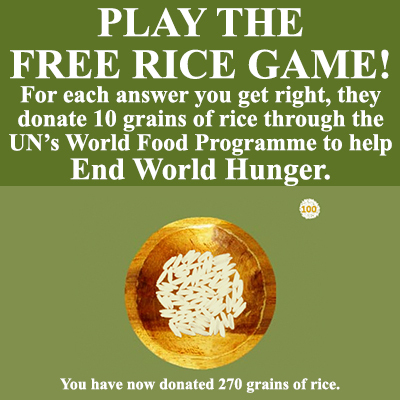 And it is not hard for these seekers to reach this goal. A core-splitting inner honesty of the heart will uncover truths about their human nature that only the very wise ever come to know. However, too much focus will lead to narrow-mindedness which may hinder the seeker’s boundless potential. This pursuit of truth may open doors to creativity if balanced with love, gentleness, and open-mindedness. Centaurs are mythical creatures known to be wise and brave who can “motivate and direct” at the same time. Their wisdom makes them great teachers. Their bravery makes them great warriors. 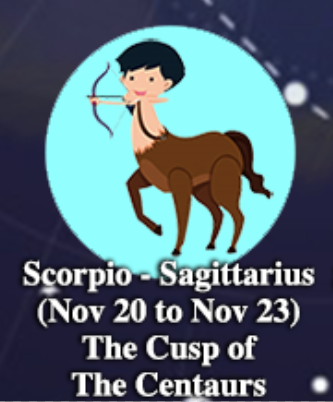 When the deep waters of the passionate and intuitive Scorpio meet the optimistic and enthusiastic fire of Sagittarius, an individual born on the Cusp of the Centaur has the capability to accomplish seemingly impossible tasks. Scorpio’s emotional nature and Sagittarius’ open-mindedness creates a balance of their needs and wants. Although reaching goals and winning battles is not hard for them, they still experience the challenges of life along the way, and keeping humble spirit can give them true strength. When it comes to friends and family, Centaurs are some of the most trustworthy and reliable people you can find, and their love runs deeper than most ever know. 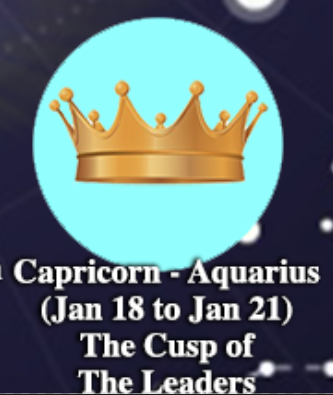 A cusp situated in the Winter Solstice, the Cusp of the Awakened Ones symbolizes the resting of the sun, which then rises again brighter than ever before. The sun grants individuals born on this cusp a higher consciousness and understanding of the world around them. The awakened ones are visionaries of the future, the seers of the new age whose higher awareness opens their eyes to things which others cannot see. Their strong beliefs and practical disposition fuel their perseverance in life even when they experience failures and occasional setbacks. It’s important for them to stay rooted in compassion and in their hearts, remembering that even the least seemingly important person is valuable and worth saving. 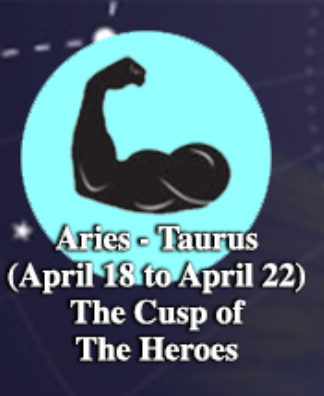 The strong and motivated Capricorn with the eccentric Aquarius combined makes a headstrong individual born on the Cusp of the Leaders. They stay true to their own direction and follow their hearts no matter what. They are good at finding solutions, if the motivation is there. These individuals will do whatever it takes to win the game of life, using their strong-willed attitude, intelligence, and ability to carefully think through decisions. It’s important to for these leaders to be mindful of the education and information they choose to accept, as taking on the aggressive, angry or even hateful ideas of others can lead to suffering. When they learn from a place of love and the desire to help others, their leadership is truly valuable and makes the world a better place. 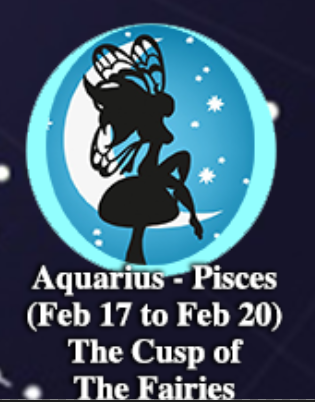 When mysterious and wise Aquarius meets with the gentle and empathic Pisces, Fairies come forth. These otherworldly beautiful and mystical creatures have the uncanny ability to draw power and riches towards them. 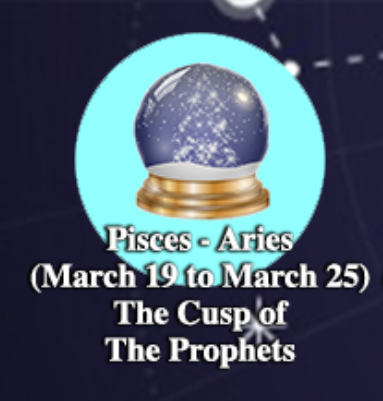 For the individual born on the Cusp of the Fairies, the Pisces’ meekness makes this person vulnerable to anxieties and uncertainties. But when their feelings are properly understood, and a calm is achieved, these mystical beings cannot be stopped from achieving their heart’s desires. Often deeply interested in seeing others succeed in life, their pure and loving auras give others the love and energy they need to succeed themselves.